The Giants sign Nate Solder, considered the top offensive lineman available in free agency, and Lewis and Butler are going to the Titans. Did the Patriots get blindsided on the first day of free agency? There was a bit of an exodus from Foxborough on Wednesday as the New England Patriots lost four key players from last year’s AFC championship team on the first official day of business in the new NFL year. Topping the list was left tackle Nate Solder, who is going to the New York Giants where he will reportedly become the highest-paid offensive tackle in the league at $15.5 million per year. Less surprising but still significant, wide receiver and punt returner Danny Amendola, running back Dion Lewis and cornerback Malcolm Butler also moved on. And on his way out, Butler shared some of his thoughts about his Super Bowl benching. There were a couple positives for the Patriots – they re-signed running back Rex Burkhead to a three-year deal and special teams ace Nate Ebner to a two-year deal. There are also rumblings that Atlanta defensive end Adrian Clayborn is a target in free agency. But Wednesday was more about what was lost. Solder spent seven seasons with the Patriots after being selected in the first round of the 2011 draft. He has spent most of that time protecting Tom Brady’s blindside, and has been a solid contributor each year. He started 13 games as a rookie and had been a mainstay since, starting 95 of 98 games. In the 2017 season, the 29-year-old started all 16 games and was named as a Pro Bowl alternate. With Solder gone, the Patriots have a large hole on the left side of their offensive line, and it is unclear how they will fill it. Marcus Cannon, Antonio Garcia and Andrew Jelks are currently the only three offensive tackles on the roster, with LaAdrian Waddle and Cameron Fleming both free agents. Lewis emerged as the Patriots’ lead running back last season, carrying the ball 180 times for 896 yards while catching 32 passes for 214 yards. He joins Butler in Tennessee, where the backfield already features Derrick Henry, who had bided his time in his first two seasons behind Demarco Murray, who was released by the Titans last week. Lewis is a big receiving threat with 109 catches in his three seasons with New England, even with his first season in 2015 cut short by knee surgery after seven games. He played just seven games during his return in 2016, but he had a career season in 2017. Cashing in on yet another productive postseason with the Patriots, Amendola is heading to Miami for a reported two-year deal worth a potential $12 million, with $8.25 million of that guaranteed. While Amendola was signed by the Patriots to a five-year deal worth $31 million in 2013, a restructuring of the wide receiver’s contract had become an annual offseason rite, even as the 5-foot-11, 190-pounder rose for New England in clutch situations. Butler’s departure was pretty much considered a done deal after he was benched by Coach Bill Belichick in Super Bowl LII. He said he has not spoken to Belichick since leaving the field at the Super Bowl. “I never got a reason,” Butler told Jeff Howe of the Boston Herald. “I feel like this was the reason: I got kind of sick. I went to the hospital. They probably thought I was kind of late on the game plan; I wasn’t as locked in as I should be and could have been a matchup deal. It could have been anything. But Bill Belichick has been doing this for a very long time. He took a veteran out of Super Bowl XLIX (against the Seahawks) and put in a first-year rookie, and that turned out right, so you could never question his decision. Butler will be in Tennessee next season with a five-year contract worth more than $61 million – and more than $30 million guaranteed. 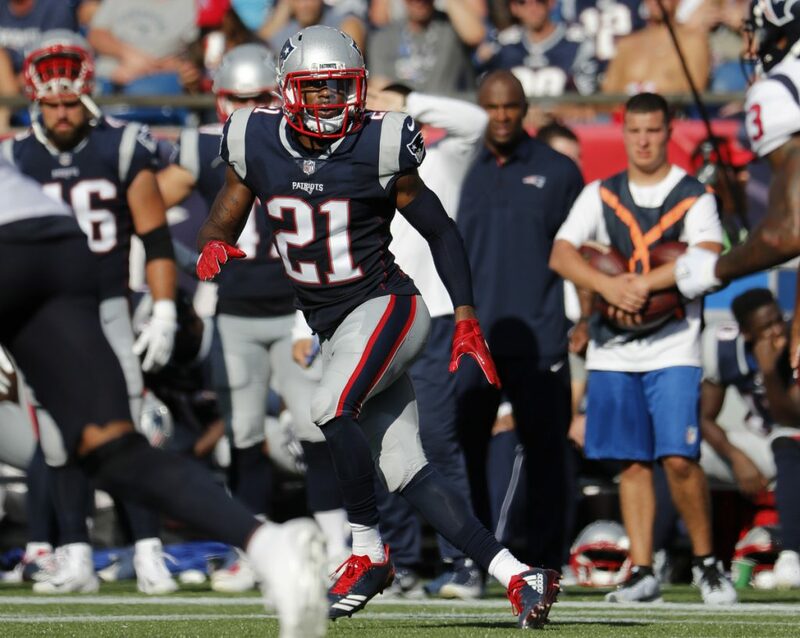 It’s a substantial raise from the $3.91 million restricted free-agent tender Butler played for in 2017, and will reunite him with fellow cornerback Logan Ryan, a New England teammate from 2014-2016. But has he recovered from the benching?